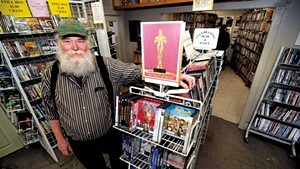 It's one of the few, the proud … the last surviving Vermont video stores. 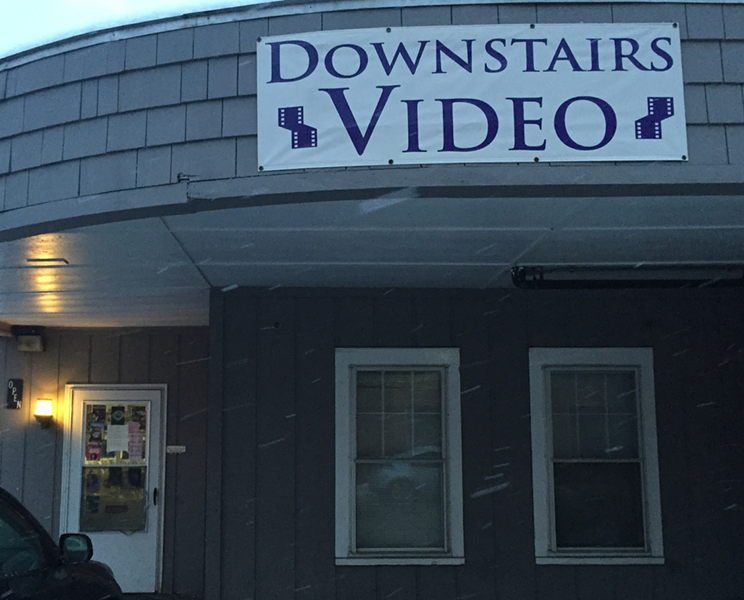 And this Valentine's Day, Montpelier's Downstairs Video will close its doors for good. It will likely come as no surprise that the video store has finally reached the end of its profitability. We have kept it going just on fumes but now it is becoming a liability for the Savoy to keep it operating. We will be closing the doors for good on February 14, 2015. Youk thanks "George Shumar for his long and dedicated service to DV," as well as the store's patrons. From February 2 to 14, Downstairs Video will be open for DVD sales. (More details here.) But Youk doesn't plan to sell off all the inventory: "We will be assembling a core group of important films to utilize as an archive," he writes. "Access and use of the archive is still being determined." Finally, the message notes, Youk is open to hearing from potential buyers: "Even as the store wasn’t profitable for us employing several PT employees, it might do pretty well as a single owner or cooperative venture." In a phone interview on Tuesday evening, Youk said he's already getting responses to the announcement. "Some of those employees [the store has seven part-timers] and some people in the community are talking about a couple of different ideas. One is coming together and purchasing the assets and continuing the store as a kind of cooperative. I think that would be really cool if they could pull it off." "Already," he added, "we're getting tons of emails from people" interested in buying DV's stock. "People are sending lists of films that they want to set aside." Downstairs Video used to be downstairs at the Savoy — but has occupied another address since Youk transformed the theater's basement into a second screening room. The name stuck. 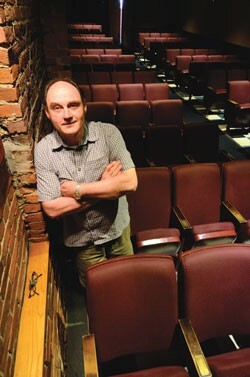 As he indicated in the message, Youk plans to set aside some films, too: "The Downstairs Video store had a really eclectic collection and a lot of important films from the history of film," he said. "So we'll take those important films and segregate them and create an archive," whose exact nature has yet to be determined. "Whatever's left over after that [and the sale], we'll probably donate it." 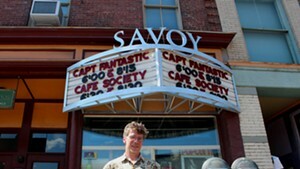 As for the Savoy Theater, which has had its share of financial and flood-related travails in the past, "We're holding our own," Youk said, noting that the theater's seen just one slow period in the past year. 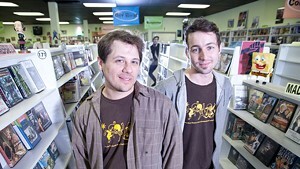 The video store, he explained, wasn't yet at the point of "dragging us down." But "We've been having $30 and $40 days [at DV], and you can't maintain that over time. There's a lot of moving parts. It just starts to add up." Right now, Youk is preparing for the annual Green Mountain Film Festival, which will happen in March. "Overall, it's just gonna be easier for us" without the store, he said. The closing of DV is one more piece of evidence that the video-streaming model is winning out. In spring 2013, Burlington bade farewell to its well-loved rental mainstay, Waterfront Video. South Burlington's Hollywood Video and Williston's Passport Video followed suit, leaving greater Burlington without a video store. Of course, there are still places to rent DVDs and Blu-rays — the Redbox outlets in many supermarkets, the public library — and plenty of places to buy them. But has Vermont seen the last of dedicated video-rental businesses? We're guessing a few survive, but the online Yellow Pages are a less-than-reliable guide. So if you know of a thriving rental outlet in your community, we want to hear about it. Drop us a comment or an email.